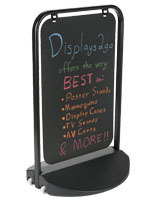 This Black A-Board is Perfect for Retail Use! 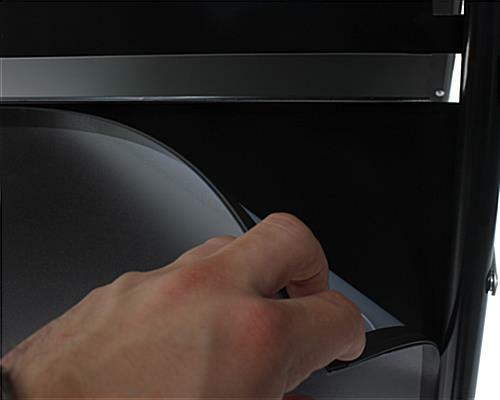 This Display has A Sleek Finish! 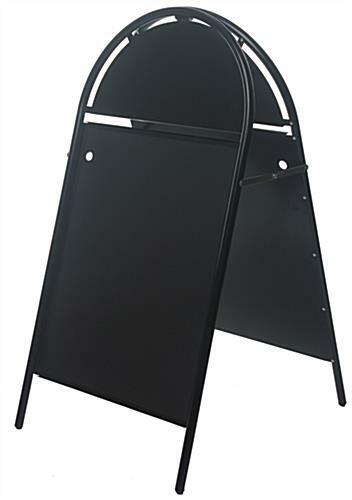 This Black A-Board is Perfect for Restaurants! 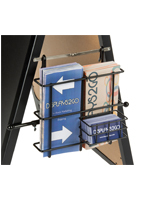 Magnetic lens protects 22"w x 28"h prints from moisture and makes signage change simple. Heavy-duty steel has a semi-gloss finish that attracts attention. Hinged design allows frame to fold flat for transportation and storage. 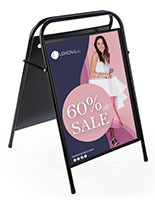 This black a-board is perfect for using at retail venues. This pavement sign is double-sided with magnetic lenses to keep posters in place. 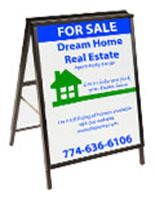 Display 22" x 28" graphics with this double-sided black a-board. The top rounded portion of this sandwich display can also be used to display a company logo or insignia. 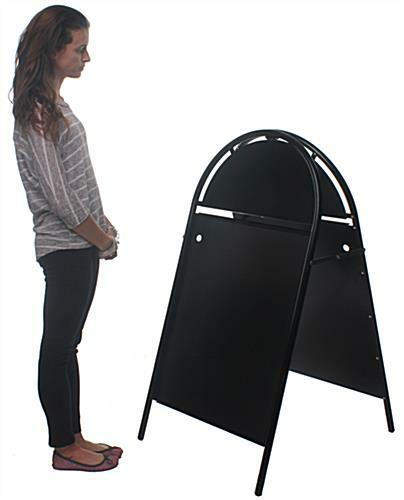 This black a-board has a sturdy steel construction that is effective for outdoor usage. Fold this pavement sign up when not in use for easy storage and portability. 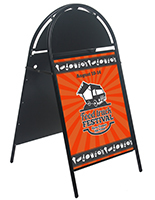 This metal black a-board is perfect for real estate, retail stores and restaurants. 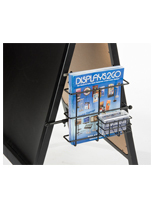 This signage display is designed for 22" x 28" signs. 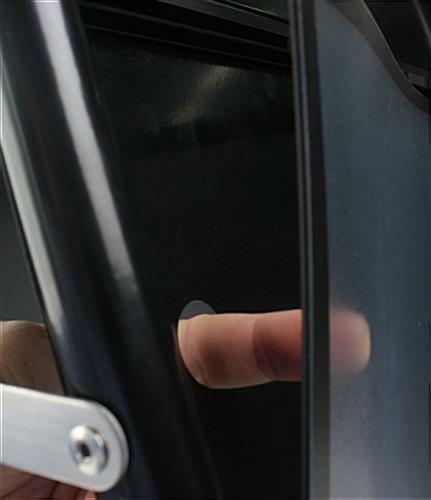 Simply push your finger through the hole on the back of the signage to lift off the magnetic lens, then insert a new poster on either side of the black a-board. The top header of these pavement displays is designed specifically for vinyl graphics, which pop out at customers due to the gloss black background the header provides. This black a-board will draw in customers from the sidewalk or street. Put in custom signage to catch the eye of passersby. This black a-board has a magnetic lens that will cover the poster and help prevent moisture and elements from damaging the poster. The iron construction, along with the powder coating, make this pavement sign very durable. 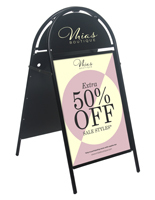 This black a-board is an excellent addition to any signage collection and can help increase customers. 26.5" x 49.0" x 31.0"